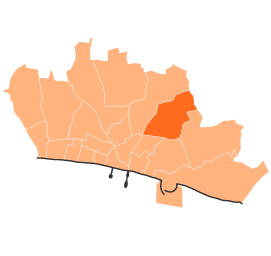 The Bevendean Local Action Team falls within the Bevendean ward and covers the area of Lower Bevendean, including The Avenue. The LAT meets every six weeks at the Bevendean Community Church Hall on Norwich Drive and is chaired by William Gandy. The meeting is run for and by residents, and all residents are welcome. Invited guests include ward councillors, Police/PCSOs for the area, Antisocial Behaviour Team, Brighton University Community Liaison Officer, City Clean, Trust for Developing Communities and anyone else we believe will help attain our aims. The Meadowview and Tenantry Community Action Group focus on the Meadowview and Tenantry housing estate (including Willingdon Road) in the Moulsecoomb and Bevendean ward. Moulsecoomb Local Action Team is situated mostly within the Moulsecoomb and Bevendean ward, and includes the Bates Estate, within the Hollingbury and Stanmer ward. The LAT contains the areas known locally as North, South and East Moulsecoomb is bounded by Natal Road in the south, Falmer to the north, Staplefield Drive to the east and Rylands Drive to the west. The LAT meets every second wednesday of the month (except August) at the Moulsecoomb Leisure Centre on Moulsecoomb Way from 10.30am to 12.30pm, and is chaired by Councillor Anne Meadows. Meetings are attended by ward councillors, Sussex Police, BHCC Community Safety Team, Housing and other officers, local residents, voluntary organisations and community groups, tenant representatives and Brighton University Student Liaison Officer. Meetings are open to anyone who lives or works in the area.